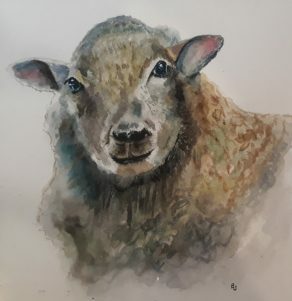 I have a group of adult students who have been learning to draw and paint for a few years now and have recently been drawing and painting sheep. 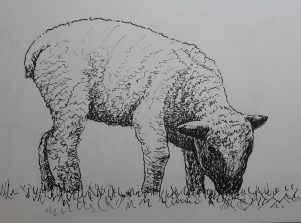 Sheep have a reputation for being ‘dumb’, ‘stupid’ and uninteresting because all they appear to do is stand in paddocks and eat. 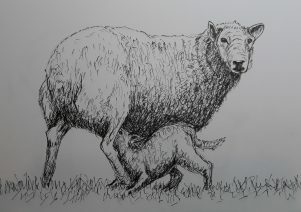 My impression is that the wild ancestor of our modern woolly neighbour was a very different animal. 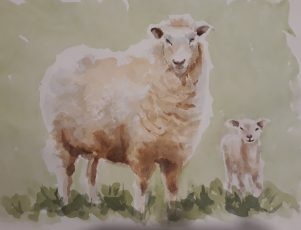 When you draw or paint a sheep you can’t help feeling that original nature. 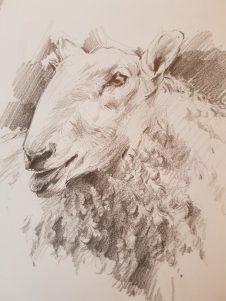 When we draw, we activate the right hemisphere of our brain, which processes connections and relationships, evoking feelings of empathy, inclusiveness and engagement with everything beyond the self, including sheep! It perceives all other species as sentient beings, like us in many ways but minus the reasoning cerebral cortex. We all have this empathetic nature and it often manifests collectively in disasters, when we come to one another’s aid without reservation. 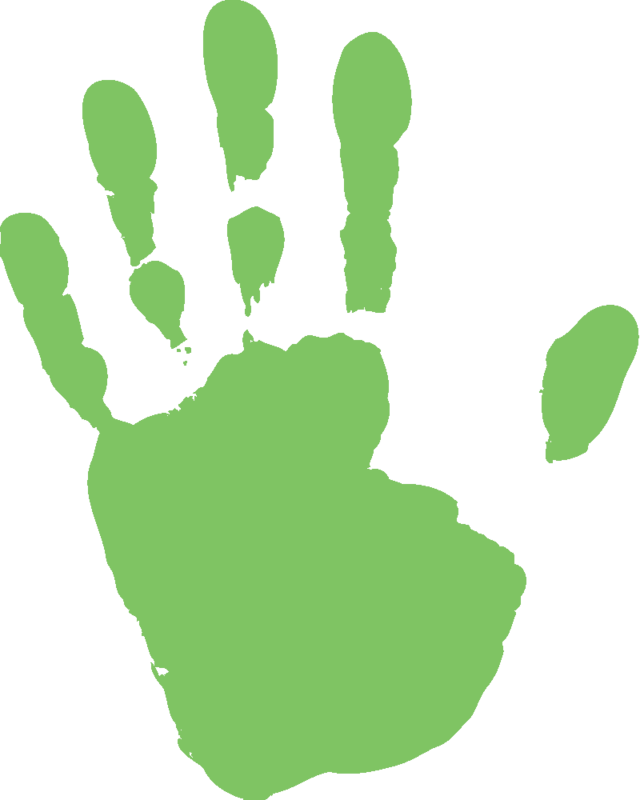 Our left hemisphere tends to stand aloof from life because it is concerned with the needs and concerns of the self. It is has a more utilitarian approach to life – what will serve me? How can I use that to gain more of what I need? It’s not a bad thing in itself (it enables our survival) but it can be pragmatic and dispassionate at the expense of our sentient friends. It’s easy to think of a paddock of sheep primarily as a resource to be processed. I began drawing and painting sheep from photos a few months ago with a friend. We both became enamoured with them! Each one has it’s unique expression, some seem unbelievably sweet and soft, whilst others have a wild, unpredictable look. Like humans their features convey expression and personality, especially their eyes.